Of the four studio albums the Velvet Underground recorded with Lou Reed as their leader, 1969’s plainly titled The Velvet Underground might have been the most surprising upon its initial release. Their similarly titled debut The Velvet Underground & Nico remains their most famous, jammed with classic songs and their pioneering combination of taboo-smashing lyrics with soundscapes blending the avant-garde and raw rock’n’roll. Their second LP, White Light/White Heat, remains their most extreme in its almost nonstop assault of in-the-red noisy rock and songs populated by outrageously on-the-edge characters. 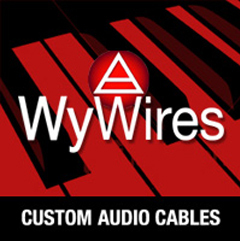 In contrast, the self-titled third album was subdued to the point of, as guitarist Sterling Morrison once famously observed, sounding as if it had been recorded in a closet. With the exception of the jarring “The Murder Mystery,” the songs were so quiet they often verged on the folky, throwing in some straightforward joyous rockers and touches of doo-wop and gospel, as well as a near-vaudeville finale. What had happened? Well, bassist/keyboardist/sometime singer Doug Yule had replaced John Cale, for one thing, helping to steer the Velvets in a more “normal” direction. But that’s a path they might have followed anyway, with Lou Reed writing some of his most emotionally direct songs. “Candy Says,” “Jesus,” “What Goes On,” “Beginning to See the Light,” “Some Kind of Love,” “Pale Blue Eyes,” and “I’m Set Free” are all among his greatest and most melodic compositions. Just because they were more low-key than the VU’s earlier work (though some would work up a greater heat in concert) doesn’t mean that Reed wasn’t continuing, as he almost always did in the Velvets, to act almost as a journalist of the highs and lows of human emotion. At the time of its release, The Velvet Underground didn’t even crack the Top 200. 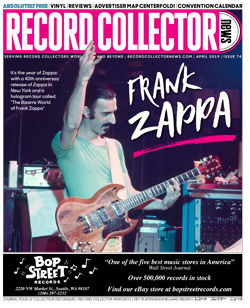 If you’d told anyone the record would be honored by a six-disc “super-deluxe edition” box set 45 years later, you’d have been dismissed as out of your mind. Yet here it is — six full CDs of material from or from around the time of the album. 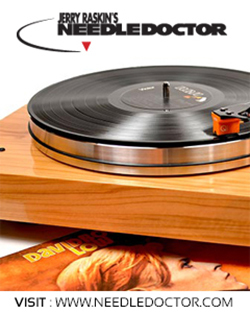 Considering the original LP had 10 songs lasting a mere 43 minutes, how could that have happened? Opinions among VU fanatics and collectors vary on the matter, and here’s mine: there’s not all that much of a notable difference between the “closet” and “Valentin” mixes. That’s heresy given how legendary the variations have become in some circles, but the only one that really jumps out at me is “Some Kinda Love,” as the takes used for each were entirely different. The Valentin version has a hoarser vocal and more guitars, lasting about twenty seconds longer; both takes are worth hearing. If I had to choose, I’d go with the closet mix of the album, in part because it was Reed’s doing, and thus a more accurate representation of what the band (or at least he) wanted. Of course, part of the point of the box is that you don’t have to choose anymore; you have both of them plus a mono version in one place on CD. If an expanded edition of The Velvet Underground was solely devoted to the studio sessions at which the album was recorded in late 1968 in Los Angeles, there wouldn’t be nearly enough for six CDs. In fact, there are no outtakes from those sessions on this package (and none have circulated, officially or unofficially). Fortunately, however, Universal’s taken the liberal view of including some other live and studio material from a similar era to fill out the set, as they did for their super-deluxe editions of The Velvet Underground and Nico and White Light/White Heat. So disc four is devoted entirely to outtakes—all fourteen of which have been previously released on other archive compilations—recorded for MGM between May and October of 1969. It’s been speculated that these were intended to comprise an unreleased “fourth album,” though that’s never been confirmed, and my guess is that such an LP never approached an even preliminary state of completion. As such, it’s rather a grab bag of material, most of it in the straightforward rock vein of The Velvet Underground, yet often with a lighter and more mainstream approach. Some of the songs seem more like fooling-around-filler than serious contenders for album space, and just three—“Ocean,” “Lisa Says,” and the almighty “Rock & Roll”—truly rank as Reed working at the top of his game. And none of these three are the Velvet Underground’s best versions of these classics; “Rock & Roll” would be done better for Loaded, as would “Lisa Says” and “Ocean” in concert (as heard on the 1969 Velvet Underground Live album). Would all this have added up to a fourth album as worthy as any of their official studio LPs? No way; it wouldn’t even have been that close. Is it nonetheless better than the best albums by most other groups? You bet, though it’s on the whole rather more lightweight than the VU at their best, as if they were saving their aces for their next real LP (though only one song, “Rock & Roll,” would make that fourth LP, 1970’s Loaded). 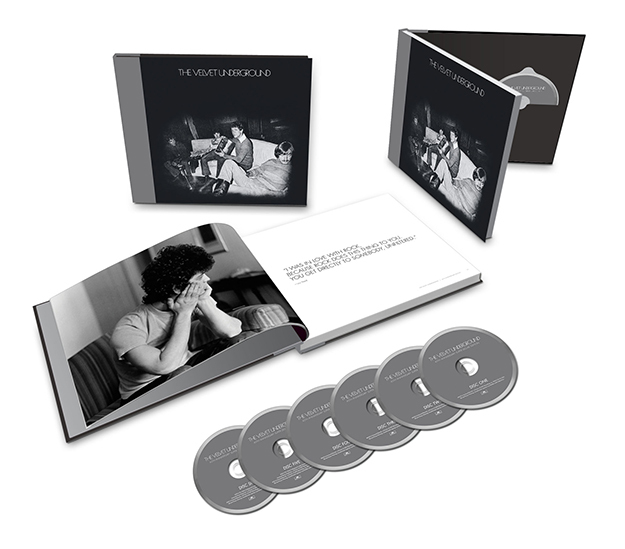 This box set stands as the definitive historical record of the Velvet Underground’s final year or so of studio recordings at MGM, adding much of the best of the fine surviving live tapes of the era. For what it’s worth, six of the 14 songs are presented here in previously unreleased 2014 mixes different than those that appeared when the material was issued on the mid-‘80s archive anthologies VU and Another View. One of these is not the kind that only audiophiles will notice; this drastically different mix of “Coney Island Steeplechase” improves the one used for Another View immensely, getting rid of the annoying through-a-megaphone vocal effect and making Reed sound like a normal human being again. Oh-so-slight variation hounds will dig the “1,2” Reed count-in for “I Can’t Stand It,” which isn’t on the LP and CD versions I have. “Foggy Notion” has a “here we go, rolling on 1” announcement and a bit of guitar noodling at the beginning I haven’t heard before, either, though the original 1969 mix was used. It’s too bad “Ride into the Sun” is still missing a vocal track, however. The final two CDs of this super-deluxe edition are drawn entirely from live performances, and are simultaneously the most rewarding and frustrating discs of the entire set. Recorded at the Matrix in San Francisco on November 26 and November 27, 1969, six of these tracks were previously issued as part of the 1974 double LP 1969 Velvet Underground Live — my vote for the best concert album ever, by the Velvets or anyone else. (Another, a 36-minute (!) version of “Sister Ray,” came out in 2001 on The Quine Tapes.) The reward is that eleven of these eighteen tracks were previously unissued (or even available on bootleg, to my knowledge), and that whether previously unavailable or not, the music on these two CDs is superb, adding entirely different dimensions to the studio versions. The frustration is that the seven previously released songs will already be in the collection of many of the set’s purchasers, and much more unreleased material is known to exist that was taped during the band’s multi-week stint at the Matrix. To dwell on the positives, the previously unreleased cuts are very good indeed, and largely up to the high standards of what was used on 1969 Velvet Underground Live. Here’s your chance to hear the Yule lineup do a couple songs from the banana album, “Venus in Furs” benefiting from some ghostly organ, and “There She Goes Again” getting a full-charge rock ‘em-sock ‘em treatment. Other songs missing from 1969 Velvet Underground Live find a rightful place here, in particular a majestic “I’m Set Free” (in which the gospel feel of the studio version comes out even more, especially in the underrated ethereal background vocals) and a six-minute “I Can’t Stand It Anymore” with some incendiary guitar soloing. Even the songs that appear in different versions on 1969 Velvet Underground Live differ in appreciable and interesting ways, “What Goes On”’s jagged rhythms sounding even more tightly wound (though just half as long), and the obscure but lovely ballad “Over You” getting taken at a slower, more languorous pace. Also dig how “Sweet Jane,” instead of ending at the last note, keeps on going so you can hear a lengthy bout of applause from the audience — proof that the Velvets were appreciated in their own time. Indeed, there’s a bit more crowd/extraneous noise on a few of the tracks first heard on 1969 Velvet Underground Live, including a hesitantly strummed guitar chord in the middle of “Lisa Says” that was edited out of the previously released version. As good as it is to hear these unissued items, however, there could have been more. It’s known that four hours of VU performances were taped at the Matrix in November 1969, including 42 tracks (some of them multiple versions of the same song), among them one tune (“The Black Angel’s Death Song”) that still hasn’t come out anywhere in a Matrix version. The other unissued tracks from this batch are different versions of numbers for which Matrix performances have come out in one way or another, but given the Velvets’ genius for cooking up different arrangements onstage, they likely include some pretty interesting spins on familiar classics. For at this time they were reaching a concert peak that few bands matched, both in terms of the intensity of the performances and their ingenuity at devising new ways to play their material onstage, sometimes playing the song quite differently not only to the studio versions, but also to the way they’d done the tune live at other gigs the very same month. A better approach might have been doing a deluxe version of the 1969 Velvet Underground Live album that included more unreleased live material from this time. 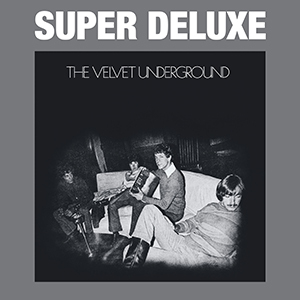 Another alternative might have been expanding the size of this super-deluxe edition from six to eight CDs, including the whole of 1969 Velvet Underground Live and more unreleased late-’69 material than fit on the six-CD package. Both of those options, of course, might have been even riskier economically than the six-CD super-deluxe edition that we did get, and considered unfeasible in today’s marketplace. As it is, this box set certainly stands as the definitive histor-ical record of the Velvet Under-ground’s final year or so of studio recordings at MGM, adding much of the best of the fine surviving live tapes of the era. The accompanying 72-page liner notes feature some rare late-‘60s photos of the band, as well as some ads for their 1969 releases, tape boxes, and ads for lots of shows they did in the period. It’s an appropriately comprehensive document for the third album by the greatest cult band of all time, even if, for all its length, it leaves you wanting more. Richie Unterberger is author of White Light/White Heat: The Velvet Underground Day-By-Day (Jawbone Press). I was hoping for a better recording or mastering or mix of the 11:14 live Ride Into The Sun that appears on the Quine Tapes. I particularly love that version but it’s technically poor. My friends and I got to hang with Lou and John of the Velvet Underground. When we first heard their sound in an underground movie theater in Manhattan, it was amazed us — never heard this before. We were hooked, and followed them around wherever they played in Manhattan, mostly St. Mark’s Place, and then later at the Gymnasium. To this day, some of my favorite songs are: Femme Fatale, Venus in Furs. Especially when John played his amplified viola — nothing sounds like that. We always got in to see them — Paul Morrissey, filmmaker, working with Andy Warhol back then, really got a kick out of us, and so he would say let them in. He called us the Jersey Girls. The last time I saw Paul was at a newsstand near Carnegie Hall, and we spoke briefly….he told me that they just made a film called, Trash, and we both laughed. It was very sad to lose Lou Reed — but I’m glad he was honored for his contributions to the music industry. Even though Lou did not give one $%#@ about what anyone thought of his music…and I so agree.